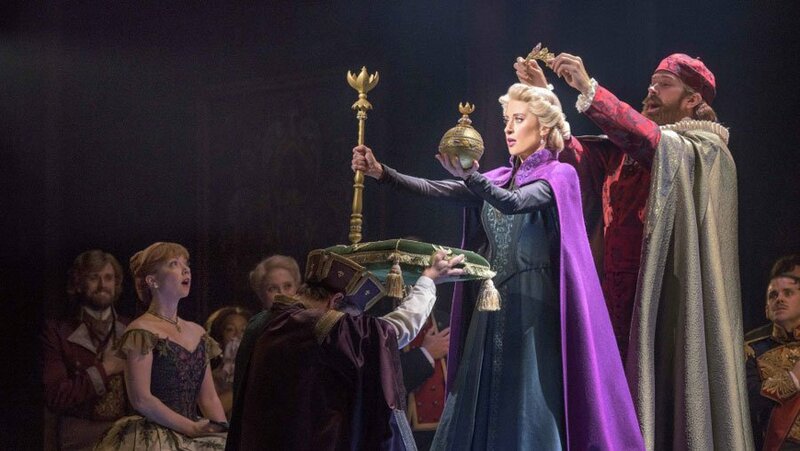 Jelani Alladin (Kristoff) and Patti Murin (Anna) in the Disney Theatricals musical Frozen pre-Broadway. 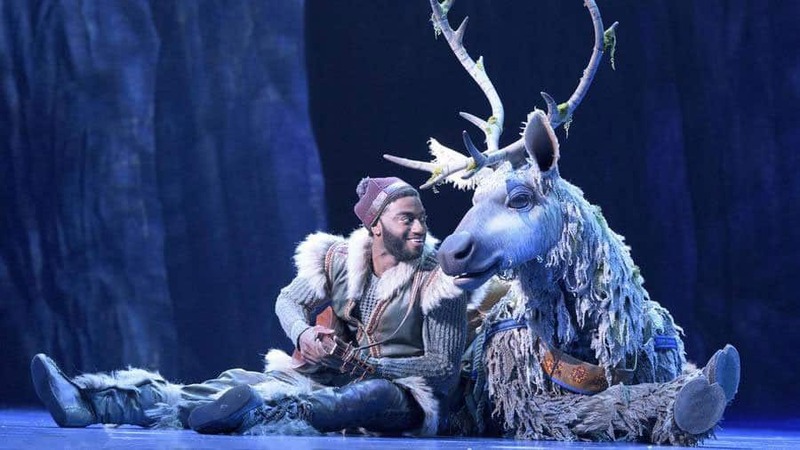 Disney’s stage adaptation of Frozen had its world premiere on September 14 at the Denver Centre for the Performing Arts’ Buell Theatre. We hope that you enjoy Deen van Meer’s wonderful production photos. 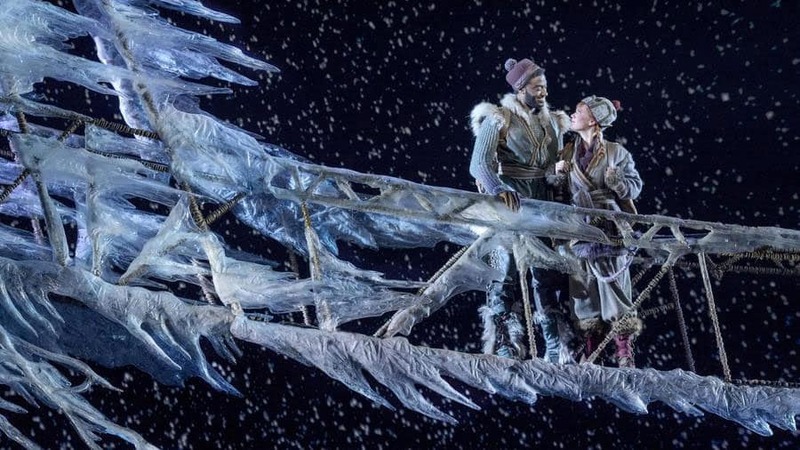 Frozen stars Cassie Levy (Else), Patti Murin (Anna), Jelani Alladin (Kristoff), John Riddle (Hans), Robert Creighton (Weselton), Kevin Del Aguila (Oaken), Timothy Hughes (Pabbie), and Andrew Pirozzi (Sven). Rounding out the cast of 40 are Alicia Albright, Tracee Beazer, Wendi Bergamini, Ashley Blanchet, James Brown III, Claire Camp, Lauren Nicole Chapman, Spencer Clark, Jeremy Davis, Kali Grinder, Ashley Elizabeth Hale, Zach Hess, Donald Jones, Jr., Nina Lafarga, Ross Lekites, Austin Lesch, Synthia Link, Travis Patton, Adam Perry, Jeff Pew, Olivia Phillip, Noah J. Ricketts, Ann Sanders, Jacob Smith, and Nicholas Ward. Audrey Bennett and Mattea Conforti share the role of Young Anna and Brooklyn Nelson and Ayla Schwartz share the role of Young Elsa. 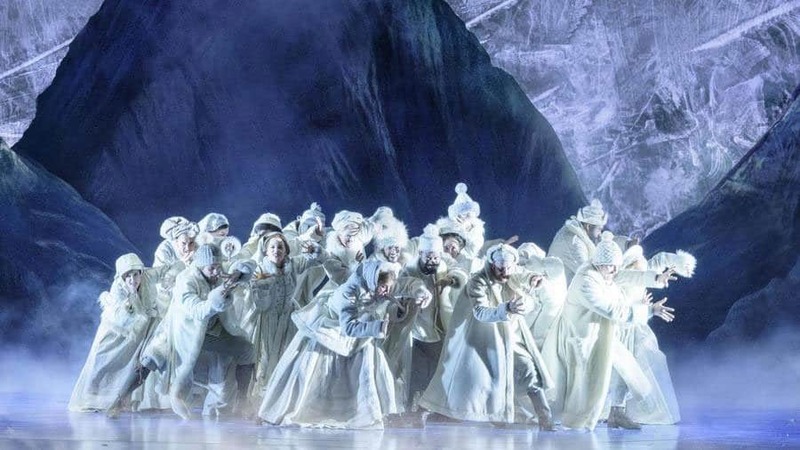 Britain’s own Michael Grandage directs Frozen. 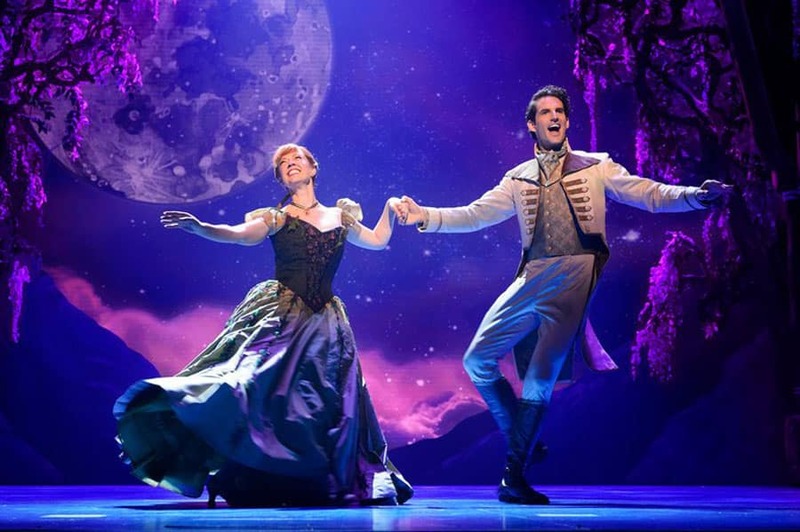 The musical features a book by the films screenwriter and co-director Jennifer Lee. The score is by the film’s Academy-award winning songwriters Robert Lopez and Kristen Anderson-Lopez. Rob Ashford choreographs.